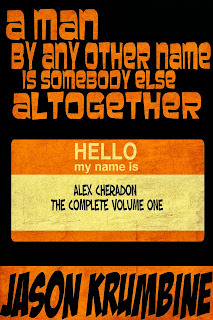 In case you haven't heard, the new Alex Cheradon book is out! The Messr Building is located in the heart of downtown Callahan. It’s a building of architectural wonder. It’s visible from almost anywhere in the downtown area. And its home to the Darketo Sanction, a top-secret organization that’s housing the largest collection of mad scientists anywhere in the country. Two weeks ago, the security system in the Messr Building tried to kill every single human onsite and nobody knows why. That’s why Alex Cheradon is on the case. Also out is a digital omnibus collecting the first 3 Alex Cheradon novels, Fruitbasket from Hell, A is for Amnesia, B is for Bullet and Little People, Big Crimes. It's 3 complete novels, for the price of one, $2.99. Which means it's the perfect way to introduce a friend to your favorite private investigator. 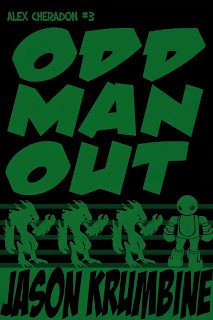 And, if you'll permit me, one last little plug. This one's just in time for the holidays! My sister-in-law has launched a Kickstarter for her line of Christmas-themed aprons. Her name is Danee Mason and she runs an online store, Summer's Closet, where she specializes in high quality handmade clothes, dolls and accessories. This year she's trying something new and using Kickstarter to launch an awesome line of Christmas aprons. You can read all about here. So, after you're done reading, take a break, order a Christmas apron and maybe start baking some cookies for Santa? Make sure you sign up to my email list to be the among the first that hear about all my new releases. Click here to sign up.